Australian Blair Hughes has performed several aspects of the fan experience model, both in sports and in music. 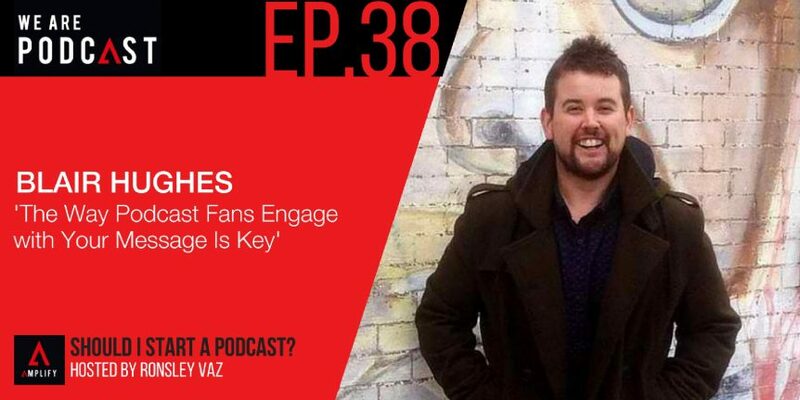 Blair Hughes is a creative and ambitious fan engagement podcast, communications and event management. He has many years of experience visualizing, developing and facilitating major events, and communications projects. He has high success rate of delivering exceptional outcomes for clients in both local and international markets across the music, education and sports industries. He's a leader, podcast networker and life-long learner skilled in digital media, marketing and public relations. Blair currently manages the operations for audio Boom podcasts in Australia and New Zealand. He has created partnerships with major radio, media, podcasters and sporting teams including Macquarie Media, SEN, RSN, the 2015 Cricket World Cup, Australian Open, and many more. “It’s about access. So, if you think of starting a podcast you have to think about ways that you can tap into your fans. Try to make them engage more and more with what you’re doing with your podcast. It’s got to be creative and innovative. You've got to be listening, it’s got to be enthusiastic, telling stories and interactive at the same time.